Have you noticed an increase in the number of patients presenting with headaches and/or TMD in your practice? 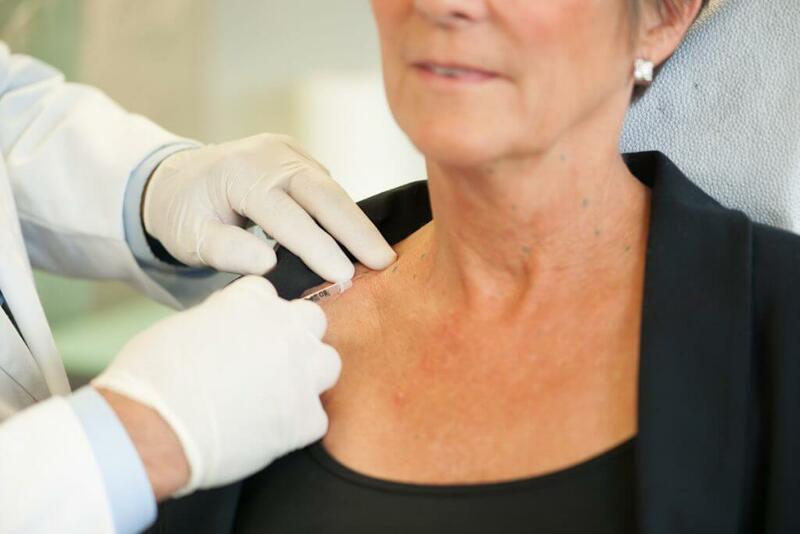 The Level 3 course includes a comprehensive in-depth analysis of symptoms, conditions and treatment using therapeutic levels of botulinum toxin that can help treat patients with chronic pain. It also covers the advanced aesthetic applications of using botulinum toxin to reduce the signs of aging in the mid-face, lower-face and neck, as well as correcting gummy and canted smiles. Level 3 includes an online component (8hrs), plus a one and a half day hands-on session. The online portion of Level 3 includes the following five sections. The online portion of the Level 3 course introduces how PTIFA pioneered mid-face injections and coined the term “Mid Face Expression” (MFE). Use of the Roberts Facial Rejuvenation Photography series allowed us to see the lines, creases, folds created by the MFE. Using precise markings, the PTIFA Injection Technique and low dosage, you will learn how to control the musculature creating these unwanted infra-orbital lines, naso-jugal grooves, bunny lines, smoker’s lines and naso labial folds. The subconscious habit and activation of the lower face muscles turns the smile line into a ‘green been down appearance’. These expressions blemish the skin with lines that exhibit sadness and depression. Learn how to turn the smile into a “green bean up”. Understand how the activation of the platysma musculature accentuates the muscles of the lower face in turning the smile to a “green been down”. In addition, the subconscious activation enlarges the soft tissue, presents with horizontal ‘necklace lines’ and creates the hated anterior, lateral and posterior jowls. The posterior ‘PTIFA Platysma bands’ when present indicate hyper muscular activity indicative of bruxing, grinding, TMD & tension type headache. Understand the sensory input from the head & neck and how the overload of central and peripheral sensitization on the trigeminal nucleus can lead to referred pain. The hands-on portion of Level 3 includes a one and a half day program always held on a Friday evening and Saturday. Dr. Roberts provides an in-depth review of anatomy focused on the of the mid-face, lower-face and neck. 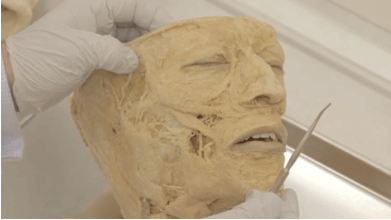 In this integrative skull & cadaver lab, learn how surface features and bony landmarks relate to underlying musculature. Day 2 is an advanced clinical hands-on practicum where you will have the opportunity to inject aesthetic cases focused on the mid-face, lower-face & neck, as well as myofascial pain patients incorporating EMG analytics. Day 1: Develop a deep understanding of the underlying anatomy of the mid-face, lower-face & neck in the integrative cadaver & anatomy review. Day 2: Learn the PTIFA Marking Technique for treatment in the mid-face, lower-face & neck. Day 2: Learn the PTIFA Injection Technique for treatment in the mid-face, lower-face & neck. 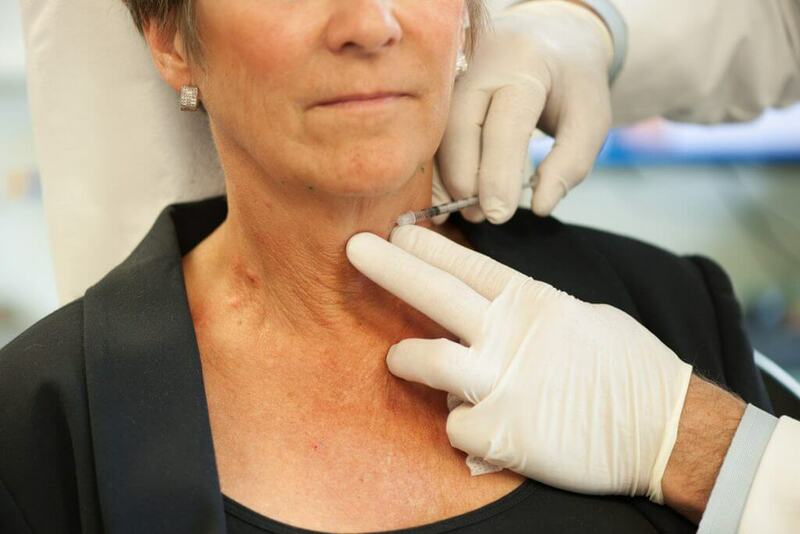 Develop an anatomy-based approach using the PTIFA Marking & Injection Techniques to treating patients aesthetically with botulinum toxin in the mid-face, lower-face and neck. Understand how to incorporate EMG analytics to assist with the diagnosis, dosage, musculature and injection timing when treating therapeutic patients and myofascial pain. Level 3 includes an online didactic section (8 hours + exam), and 1.5-days of hands-on (11 hours). Level 3 includes 19 CE credits upon successful completion of the hands-on session. Upon registration, access to the online Level 3 course material is provided for one-year. Level 3 graduates are trained to achieve the following results. Do I have to treat 20 cases before attending Level 3? Confidence and proficiency of the PTIFA Marking & Injection Techniques taught from Level 2 is required in order to attend Level 3. 20 cases is a suggested recommendation, however you are not required to submit these cases to PTIFA. We always recommend that you check-in with your local licensing college for any additional requirements. When can I register for Level 3? You can register for a hands-on Level 3 course date at any time. You do not have to wait until you have completed Level 2 in order to register for Level 3. If you see a course date that works with your schedule, we recommend registering sooner rather than later. Can I attend Level 3 without completing Level 2? Each Level at PTIFA is built on the anatomy, clinical skills and training taught in the previous Level. In the past, practitioners who did not attend the previous Level have held back the course for other practitioners. In order to provide the highest level of training for all participants, PTIFA requires that you attend Level 2 prior to attending Level 3. For further details, please contact us. I want to attend Level 3, however I have had trouble getting as much clinical experience in my own practice as I had hoped for after Level 2. What do you suggest? We highly recommend you join the online Support Study Club and cross-train your entire practice team. The Study Club is geared to help facilitate practice integration with online case support, team training videos, marketing ideas & templates, access to course videos, additional videos on each muscle and much more. We also recommend that you ensure you have engaged and fully cross-trained your entire team with the Level 2 – Team Training course. Why is the Level 3 – Team Training course important? A big part of the Level 3 course is integrating electromyographs (EMG) when treating your myofascial pain patients with therapeutic botulinum toxin. Incorporating EMG analytics allows the practitioner to determine which muscle is firing, calculate proper dosage and know when to re-inject. 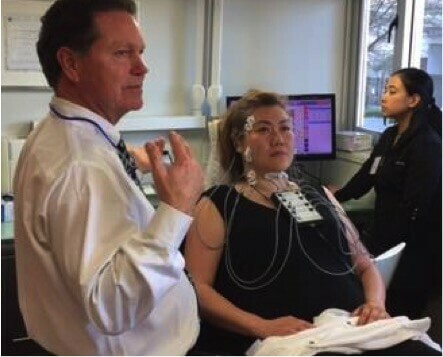 Without EMG’s, practitioners treat their patients blindly. Chair-side assistants and Team Members play an important role discussing and using the EMG’s on patients. Additionally, Team Members will learn how to load syringes and take the correct photographs for treatment in the mid-face, lower-face and neck. Do I have to take Level 3 before taking the Level 4 – Basic Dermal Filler course? PTIFA’s goal is to help you provide the highest level of patient care. In Level 3, you will develop advanced knowledge on how to relax musculature in the mid and lower face. This skill set significantly reduces the amount of dermal filler used in these areas. Learn how higher dosages than those used for aesthetic treatment alone result in reduction of headaches and migraines. A threshold dosage, carefully placed, must be reached in order to obtain therapeutic relief. Learn how incorporating EMG analytics when treating your therapeutic patients can assist with determining the muscle activity, dosage, timing and improved records & patient care. Understand the relationship between the secondary and tertiary mechanisms of action of botulinum toxin and the synergy between aesthetic and therapeutic results. Further understand the relationship between “looking good” and “feeling good". Learn how to significantly reduce the amount of dermal filler in the mid-face and lower-face after developing an understanding of how to use advanced levels of botulinum toxin. Successfully treatment plan and mark your advanced botulinum toxin patients with confidence, after attending the advanced hands-on anatomy review focusing on the mid-face, lower-face and neck. Ability to review the online course videos as often as you wish by accessing the didactic material online. Pre-requisite: Successful completion of Level 2, plus proficiency of the PTIFA Marking & Injection Techniques (20 cases is a suggested recommendation). PTIFA is an ADA CERP recognized provider. ADA CERP is a service of the American Dental Association to assist dental professionals in identifying quality providers with continuing dental education. ADA CERP does not approve or endorse individual courses or instructors, nor does it imply acceptance of credit hours by boards of dentistry. PTIFA designates Level 3 for 19 hours of continuing education credits. Register your Team Members for the advanced Level 3 - Team Training course.